I am such a volume eater, so I’m always looking for ways to voluminize (is that a word? My macbook pro doesn’t think it’s a word…well….now it is) my meals. Am I right, people? I have found our solution, people! KIM’S MAGIC POP. 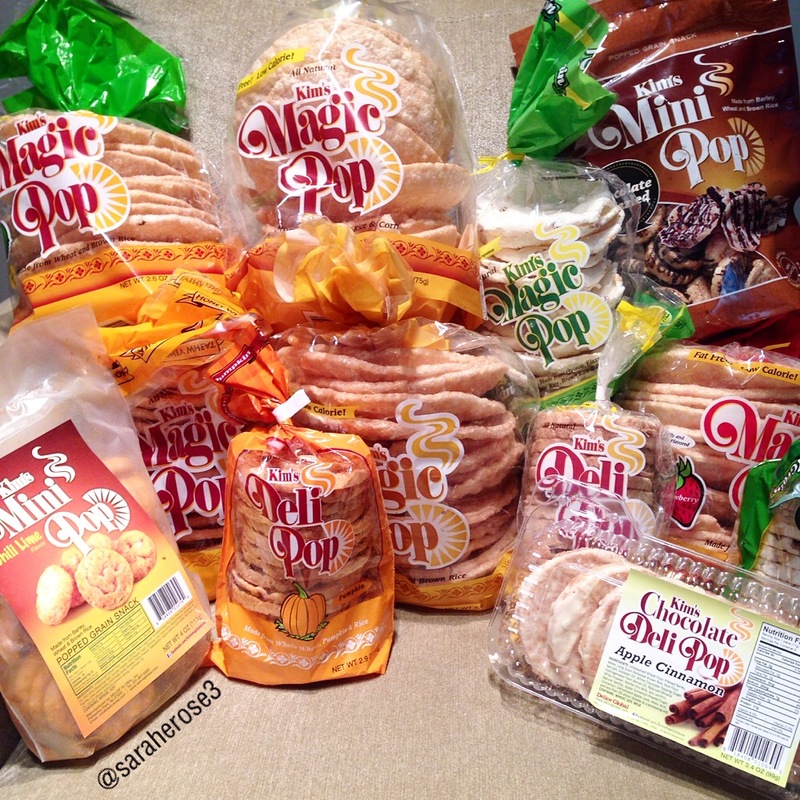 They’re basically rice cakes – “Magic Pop” are large, circular, thin ones, and “Deli Pop” are small, circular, thicker ones. 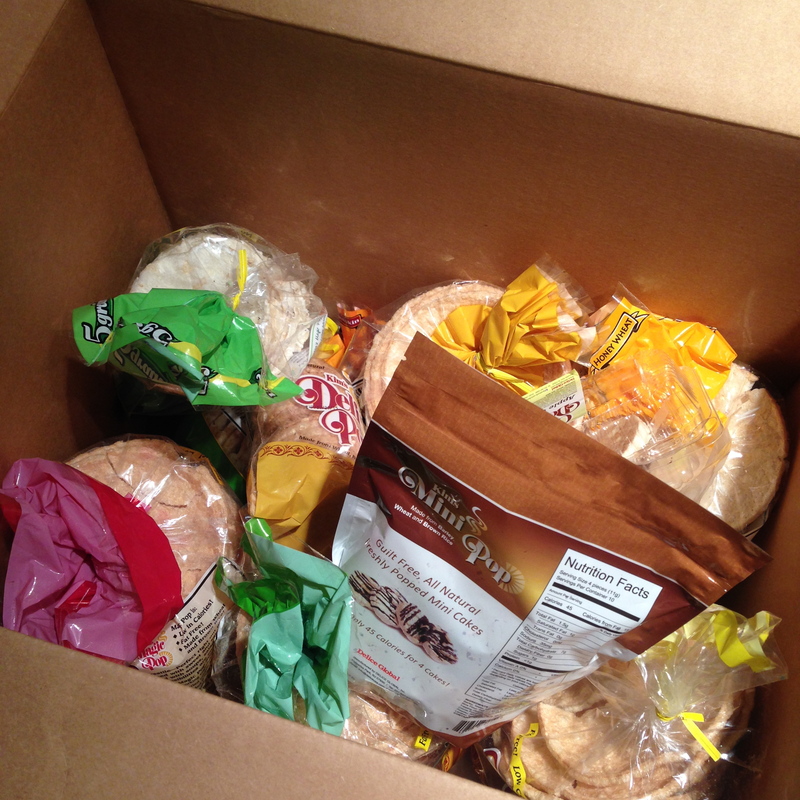 I opened up the package, which I could FIT INTO- the box was THAT BIG, and I wanted to dig RIGHT IN to it all. I should have taken a picture of my face/reaction. Pure excitement. Plain/original- Basically a rice cake! Super simple and straight forward. I like rice cakes. 5-grain magic pop- It tastes very plain. Even more plain than the regular ones. If you’re into that, then this one is for you. I suppose it could really go either way- sweet or savory- so that it doesn’t take away from the flavor of the topping. Strawberry magic pop- This one is really good! Although the flavor is inconsistent throughout the cake (flavor is mainly on the darker pink spots), I loved the taste. Very strawberry-y in the bites that had flavor!! My parents really enjoyed these ones, too. Cheddar magic pop- These reminded me of a less flavorful Cheeto, but a Cheeto nonetheless. I had these with a stir fry, and I LOVE these ones. Onion magic pop- Goodness, this one is SO good. Not too much overpowering onion flavor but not too little. Just the right amount. I LOVE onion flavoring when done right. Pumpkin deli pop- I was kind of disappointed in this flavor, not going to lie… It didn’t taste like the “basic vetch” pumpkin but rather a legitimate pumpkin. It had a GREAT flavor, though, don’t get me wrong! But it wasn’t like the pumpkin spice flavor that I was expecting. I don’t think that’s what they were going for really, so I think I just assumed! Apple cinnamon deli pop- Hands down my FAVORITE deli pop of them all. It has a thin apple cinnamon frosting on top of a plain deli pop rice cake (see? the plain doesn’t take away from the flavor!). It reminds me of homemade apple crisp. Get your hands on this one. Chili lime deli pop- These remind me of chips that I’ve had before eons ago, although I cannot put my finger on which. Very very strong flavor, but in a really good way. They pack a punch in the flavor department! Kind of spicy, too! I loved these. Chocolate-drizzled deli pop- Okokokokok, these are so good. The chocolate drizzle is dark chocolate – aka yum – over a regular rice cake. Would be GREAT on froyo! 7-grain- It tastes like a rice cake. Plain & simple. To the point. I actually like rice cakes, like I said, so I liked this one. 5-grain- oh wow, I liked this one better than the 7-grain. It has more of a toasted flavor, and it’s a smidgen sweeter, too. YUM. I hope I’m not leaving any out…there were so many!! And so many more that I want to try! If yes, which ones? Did you like? If no: Want to get some of your own? Click this link to get soooooome, and let me know what you think!